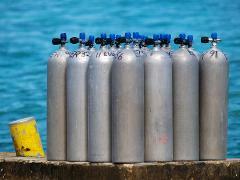 Aluminum 80 cubic ft scuba tank with air. Increase your bottom time with our NITROX-filled tanks. 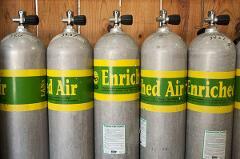 They come with 32% oxygen mix to increase your oxygen load and reduce the amount of nitrogen in the mix. 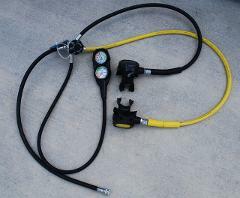 Our Scuba Regulator and Gauge Console Package include your pressure and depth gauges, octopus regulator & hose, BCD inflator hose, and your regulator stages. 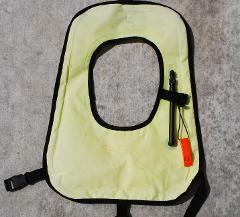 This jacket-style air cell is stable in all diving conditions, especially at the surface. 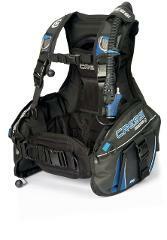 The rigid backpack and updated harness provide good load distribution in and out of the water. 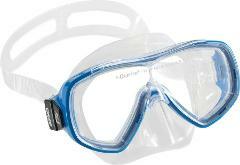 Designed for snorkeling and scuba diving, our single lens mask offers maximum visibility, a skirt made from soft hypoallergenic transparent silicone, excellent seal on many face types, and quick-release strap buckles. Our Scuba Diving Fins feature a soft elastomer foot pocket with a reinforced non-vented blade to provide maximum efficiency and comfort. It features a fluid and undemanding kick, perfect for children and adults alike. 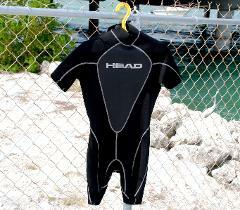 2.5 mm Shorty wetsuit is perfect for warm water activities! 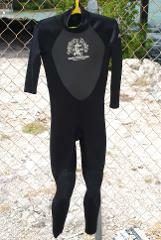 3 mm wetsuit is perfect for warm water activities! 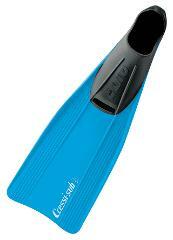 Our snorkel is a semi-dry profiled splash-guard that drastically reduces water entering the snorkel tube. 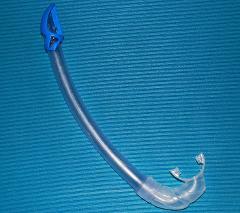 The angled silicone mouthpiece reduces jaw fatigue when used for prolonged periods of time. Our snokel vest is inflatable and visable to provide more comfort in the water and the safety needed by those that are uncertain about their swimming ability and stamina. It comes with a whistle to signal when distressed. Our Trolling Rod is rigged with 30 lb. ANDE Premium monofilament line and 125 lb. Billfisher Crosslock Swivel. 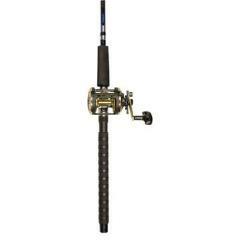 Our Spin Casting Rod is rigged with 20 lb. ANDE Premium monofilament line and a single 1/4oz. jig. This is the most versatile rig here in the Florida Keys. It can be used for trolling and casting for reef and near shore species. 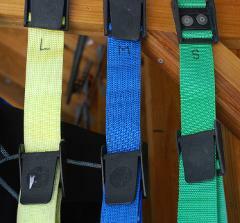 Traditional-style nylon webbing weight belt with plastic buckle. All sizes avaialble.